Home » cash » Food n Beverage » Oldtown » purchase » qna » spend » WhatsApp » OLDTOWN Eat & Win 2017 Contest: RM60,000 worth of cash prizes to be won! 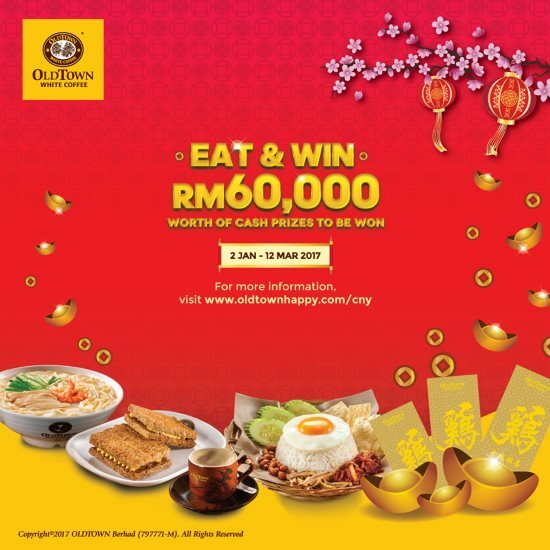 OLDTOWN Eat & Win 2017 Contest: RM60,000 worth of cash prizes to be won! Spend RM28 in a single receipt at any participating outlet within the contest period. QUESTION: What is the signature drink of OLDTOWN White Coffee? Visit OLDTOWN Eat & Win 2017 Contest page for more details.